Congratulations to Melissa Soutter and Tim Schuett for completing the six week Speechcraft course. They were kept busy preparing and presenting a new speech each week. 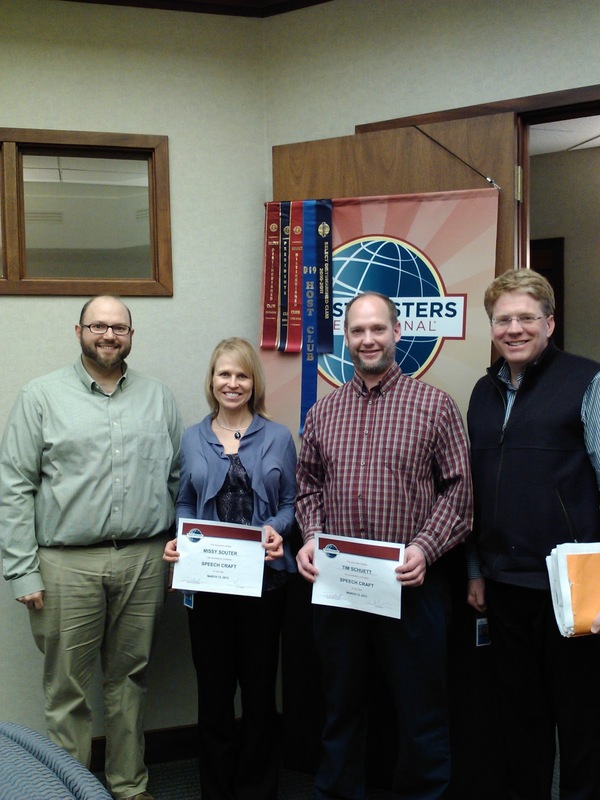 An awards ceremony and celebration helped to recognize these two hard working participants. A big thank you to the Speechcraft committee of David Arnold, Adin Mann, and Jamie Hosek.